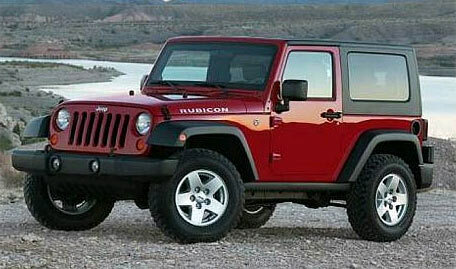 Chrysler recently announced that it has solved their problem of Jeep Wrangler hard-top shortages. By staging two production increases in early and late April, Michael Manley, CEO of Jeep, says that they’ll be able to meet the growing demands for the vehicle. Ever since Chrysler’s bankruptcy almost a year ago, many Jeep dealers have been experiencing shortages of the popular Wrangler hard-top. Last month, dealers were told that constraints from suppliers would force shortages of the model for several months. Meridian Automotive Systems, Inc., the original supplier, filed for Chapter 7 bankruptcy in August of last year, causing production to severely decrease. Since then, Continental Structural Plastics, Inc. has taken over production. During the shortage, Chrysler urged dealers to sell the soft-top version of the Wrangler to customers. This was difficult, as the hard-top version typically accounts for 70% of all Wrangler sales. Recently, demand for the hard-top has peaked at 85% of Wrangler sales. While Jeep sales declined 3% from 2008 to 2009, the decline did not break out the sales percentages of hard- and soft-top Wranglers. In addition to the production increases, Chrysler said that Jeep will offer a greater choice of options for hard-top Wranglers. Of these options, colored hard-tops matching the body paint of the car is the most notable.